To carb, or not to carb? All-produce or all-protein? Get clear information on how to make healthier choices. 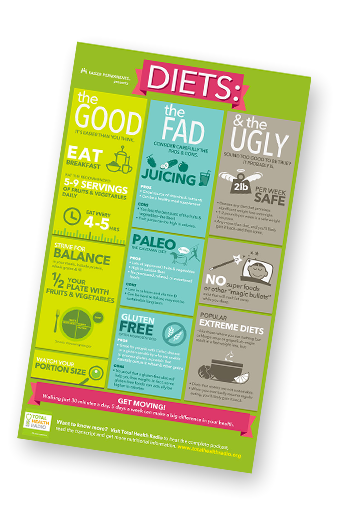 Download The Good, The Fad and the Ugly diet guide and podcast today for free and get a dietician's advice on how to eat and stay healthy. By submitting this form, I understand that Kaiser Permanente may contact me. We do not sell or rent personal information about visitors to this page.